Apso read with interest about the Chinese media’s extensive coverage of Hurricane Sandy in the USA. Many Chinese net users were furious and satirised the CCT V’s neglect of a major civil protest at home (in Ningbo) and the attempt to divert attention by giving priorities to situations abroad. CCTV also ‘forgot’ to report on the 7 Tibetans who have set themselves on fire in the last week to protest the brutal Chinese occupation and colonisation of Tibet. So, yes, China is the US’s stooge but seems like these Chinese netizens are also the stooges of Imperial China! Look! 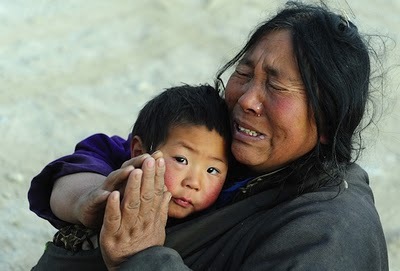 Your house and those brave Tibetans imprisoned in it are on fire too!